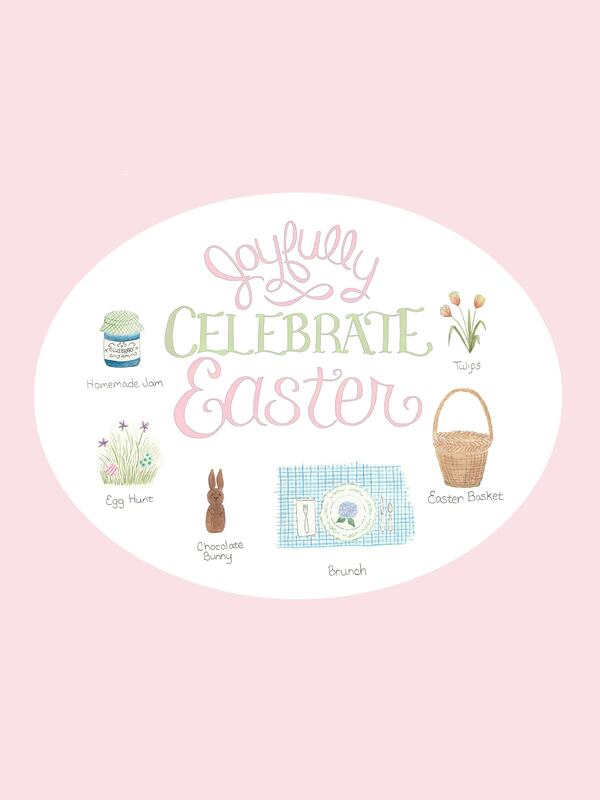 This free wallpaper download for Easter is so cute! Gear up for spring and get in the Easter spirit with this Easter Background for your desktop, tablet, and iPhone! The countdown to Easter is officially on, and I can’t wait to celebrate! I can tell you that spring is definitely one of our favorite times to celebrate in our home. Between the bright, sunny days, walks to the park and trips for ice cream, we just love it! Plus, with spring comes Easter! 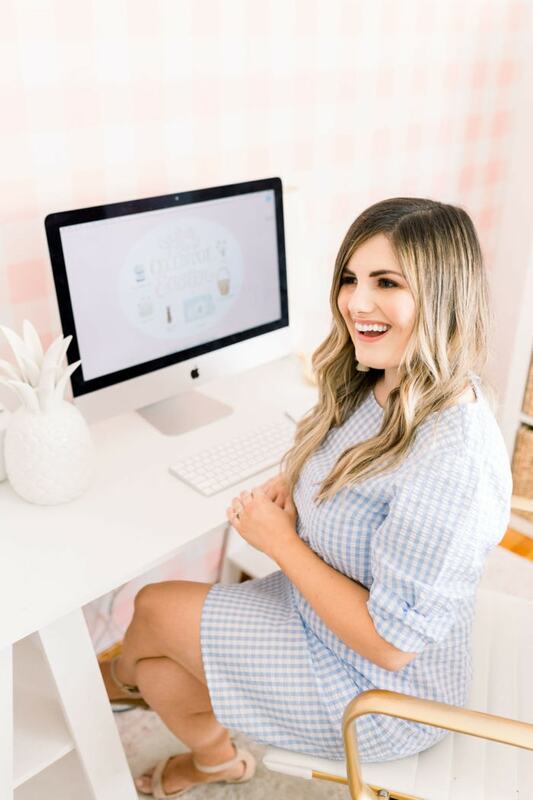 I was SO excited to collaborate with Jennifer of White Tulip Designs on this mobile and desktop download! I discovered Jennifer’s gorgeous work a few weeks ago, and I couldn’t wait to collaborate with her! I actually got a sneak peek of this gorgeous Easter background three weeks ago, and I’ve been using it ever since! I knew it would be an instant hit! I was so excited to download it to my iPhone, and it seriously makes me so happy every time I see it. There’s nothing better than adding a gorgeous background that sparks joy and makes you smile ear to ear! 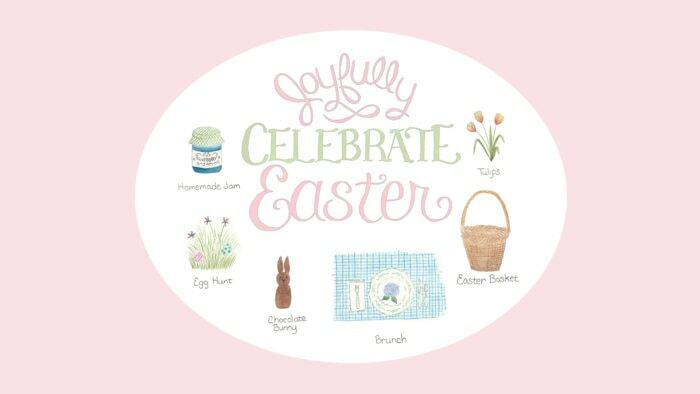 I just love the elements incorporated into this Easter Background, and the effortless ways it shows to celebrate Easter! As you’re gearing up for this special holiday, celebrate with an egg hunt, a chocolate bunny, and a gorgeous Easter basket! I also just love that spring brings daffodils and tulips, and I absolutely love to celebrate Easter by delivering huge bundles of tulips to my favorite people! Incorporate homemade jam and throw a gorgeous brunch for all of your loved ones to create heartfelt memories. It’s such a fun season to celebrate! To grab the Joyfully Celebrate Easter Background for Desktop, CLICK HERE. To grab the Joyfully Celebrate Easter Background for Mobile, CLICK HERE. To grab the Joyfully Celebrate Easter Background for Tablet, CLICK HERE. I can’t wait to hear if you choose to add this Easter background to one of your devices! This free wallpaper download is the perfect way to kick off the Easter celebration season. Let me know in the comments what device you end up downloading it to! Wishing you a wonderful spring and Happy Easter!